Yesterday, Kerbal Space Program launched the highly anticipated .22 update, adding career mode along with a host of other tweaks and improvements. We were lucky enough to get a shot at .22 before launch. I've spent a lot of time in career mode, conducted a lot of experiments and I'm ready to report my findings. Career mode has introduced the concept of research and data into KSP. When launching craft, you may now conduct experiments with science modules, or by simply getting reports from your crew. 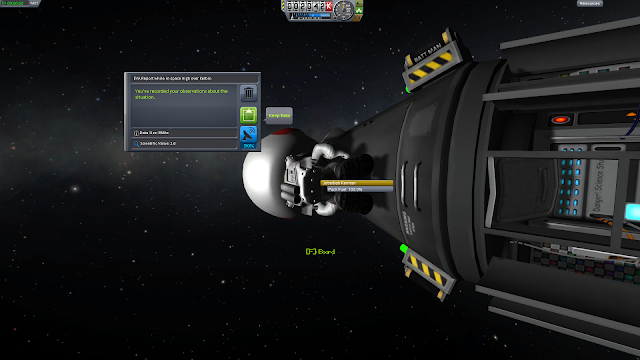 You can also take surface samples, EVA reports and either store the data onboard, or transmit it back to Kerbin using attached communication arrays. This nets you "science" that you then use to unlock more technology for more complex craft. In the weeks leading up to the launch of .22, a lot of fuss was raised about the organization of the tech tree in career mode. Many people felt that it didn't make sense to start with a one kerbal capsule instead of the unmanned pods. 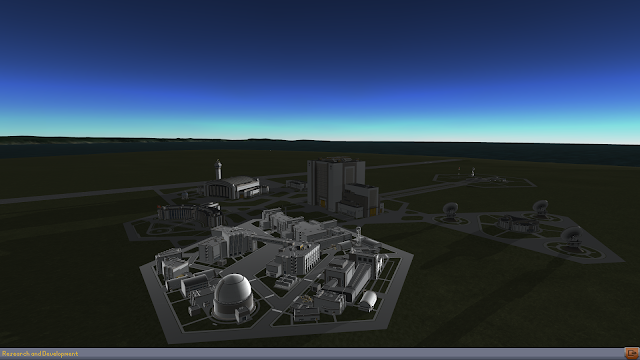 I think the decision to force manned missions on the players early in the game helped my designs quite a bit. 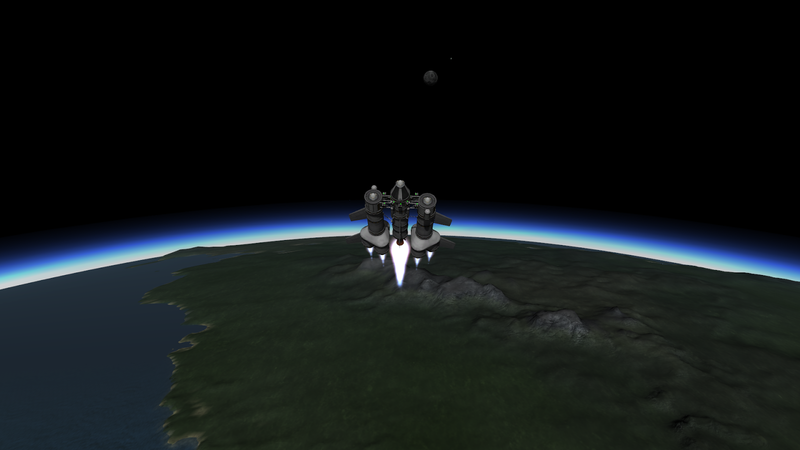 I'm one of those players that can't bear to lose a Kerbal. I care a lot about those little green critters, so priority one for me was designing ships that would, if nothing else, bring them back safely. That, combined with the limited number of parts I had available to me (read; no struts) slowed my design process quite a bit. I began looking more for efficiency and economy in my designs than sheer power. If I had been allowed to send unmanned missions at the outset, my overall design approach would have suffered significantly. I don't think I would have taken nearly as much care to bring everything back. 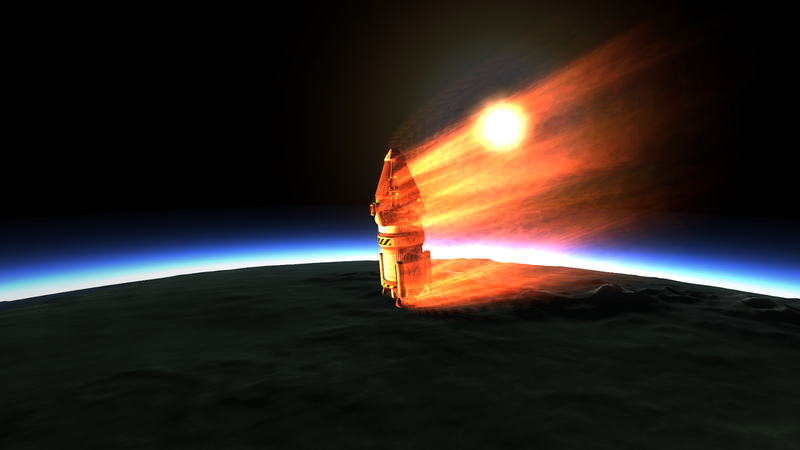 I'm sure my reckless designs would have paid off to some extent, but I can't asy for certain that I would have ever sent an actual Kerbal into space. A few tips I can give to players looking to get the most out of their missions. 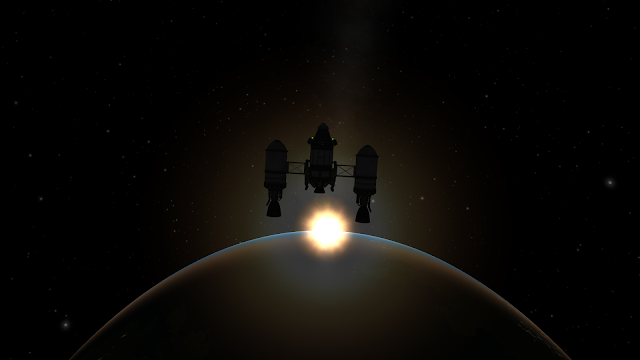 You can get a lot of data from Kerbin. While the Mün is a great target, and will net you a ton of science, you can get pretty significant results from different parts of your home planet. An expedition to the Poles, Highlands, Lowlands even a splashdown near KSC can work out pretty well. I'd also recommend doing as much as you can during the mission. An EVA report in space is different from an EVA report on the surface. Get crew reports, EVA reports, Mystery Goo and Materials Bay observations however possible. If your rocket falls apart and you find yourself drifting under a parachute less than a minute after takeoff, get a crew report and take a surface sample when you land. You might as well get something for your efforts. Career mode is great fun. I think it offers a great deal for new and experienced players. I've refined my designs process significantly since launching my career path. 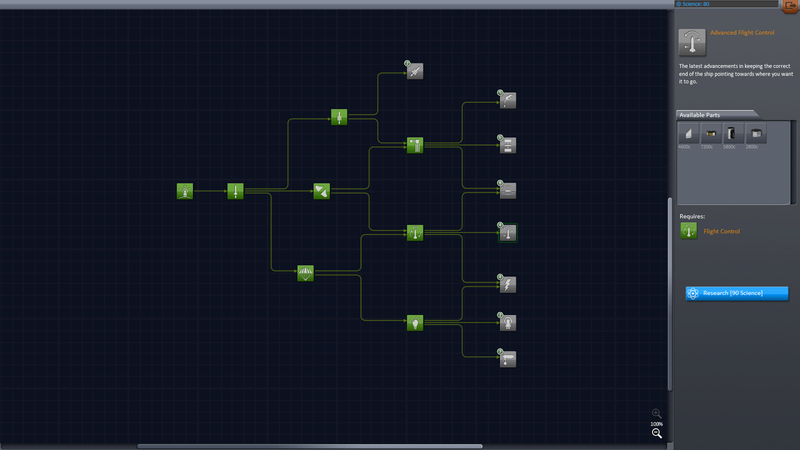 Each step along the tech tree offers a good mix of parts that build on each other very well. It's a marvelous tutorial for new players. I never thought I could get something to the Mün without a ton of boosters and orange tanks, but I was able to orbit the Mun and return to Kerbin before I'd even researched my third tech block. With all the buzz about career mode, some of the other additions have been glossed over. I have to say that the sub-assemblies option is a huge improvement. The on-board SAS has been tweaked a bit as well and is now more responsive and forgiving. You'll also find that with the new suspension systems, landing is easier. Last, but not least by a long shot, you can now repair damaged landing equipment. The .22 update has a lot of content. If you're new to KSP, or considering getting it, now is a great time to get involved. The sandbox mode can be a little overwhelming. Career mode will ease you into things rather than laying it all at your feet. For us veterans, career mode offers a guided process that gives players a newfound respect for design efficiency. You'll spend more time with each set of parts, learn more about their strengths and weaknesses and how best to incorporate them into your designs. I plan to stick with career mode for a while. My sandbox game will still be there, but I think I still have some valuable lessons to learn from career mode. Hell, maybe I'll finally be able to build an effective 3-man SSTO.